Visiting the dentist’s office may not be your favorite thing, but at Vista Dental in Sparks, we really go the extra mile to make your trip to our dentistry practice a positive experience. One thing that many patients don’t necessarily consider when finding a dental office where they feel comfortable is insurance coverage. However, finding a dentist who takes your insurance is actually an important step to choosing a dental office where you will always have a stress-free experience. 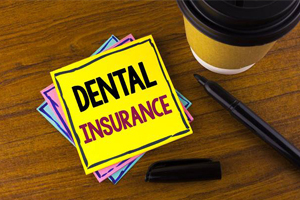 At Vista Dental, we are happy to process and file claims for most PPO dental insurance providers, and we offer in-network coverage for many insurers, including Delta Dental. If you want to learn more about insurance coverage in our office, please don’t hesitate to call to schedule an appointment in our Sparks dentistry practice today. One of our knowledgeable team members will be happy to help you review your policy and better understand your specific benefit plan. In order to make the most of your Delta Dental benefits, you’ll want to avoid the need for restorative services that receive lower percentages of insurance coverage. The best way to do that is to keep up with your six month dental appointments. In most cases, Delta Dental covers these checkups 100%, so you’ll have minimal out of pocket costs. When you visit us frequently, we will be able to partner with you to prevent many oral health issues and diagnose others in the earliest stages, keeping your smile healthy and avoiding the need for costly restorative treatments. 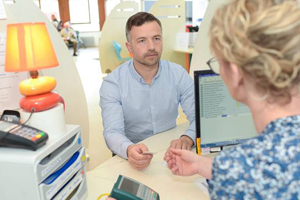 If you have an HMO dental insurance policy, you will be strictly bound to visit an in-network dentist in order to receive benefits from your insurer. PPO plans, like most Delta Dental benefits, are designed to offer patients the flexibility to choose the right dental office for their unique needs. So, why is there a network at all? In-network dental offices with PPO plans have agreements with your insurer that protect you from paying additional out of pocket fees. 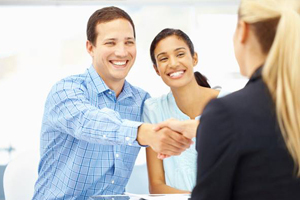 Your insurance plan outlines a percentage of the cost of necessary dentistry treatments that your insurer will cover. Unfortunately, many patients don’t know that this percentage of coverage is only for a set range of pricing. Out of network dentists may charge fees higher than those deemed fair by your insurer, but you will need to pay the difference in addition to your out of pocket percentage of treatment costs. Fortunately, these difference in pricing are usually minimal, but choosing an in-network dentist may remove a little extra stress from your dental visits.